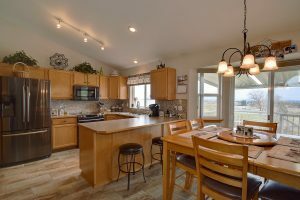 8521 E Vista Park Drive – No need to pick and choose with this property; you can have it all! Location, views, huge shop, and a home in great condition. Home features 3 bedrooms upstairs, en-suite master bath with huge walk in closet. New tile throughout the entry, kitchen and dining area. Nice covered patio off the back to enjoy fantastic views of Mt. Spokane! 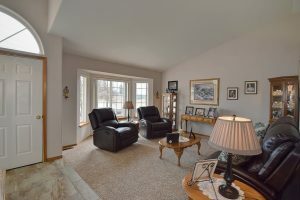 Fully finished basement with 4th room and rec. room area. 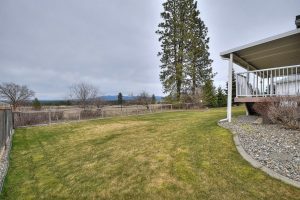 Property features a huge 1500 SqFt. insulated shop, heated with two 12′ doors with openers. 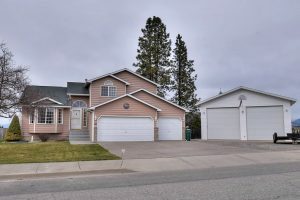 Located in the Spokane Valley, this home is part of West Valley School District.